The Dynamic Domain Name System (DDNS) feature allows you to assign a fixed domain name to a dynamic Internet IP address. It is useful when you are hosting your own website, FTP server, or other servers behind the router. 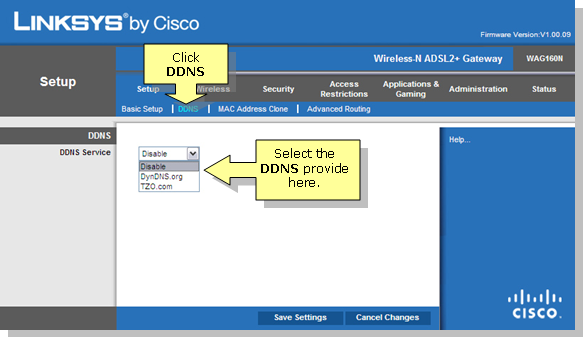 To setup DDNS on the router, access the router's web-based utility and set go to the DDNS tab. 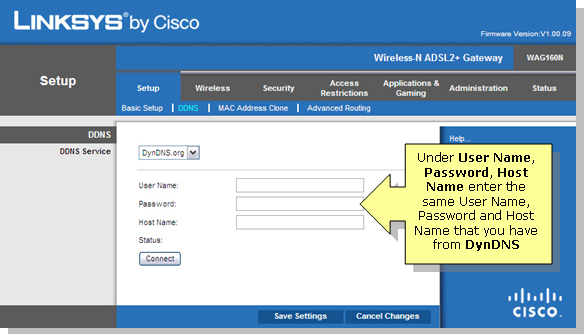 Before using this feature, you need to sign up for DDNS service at www.dyndns.com, a DDNS service provider. NOTE: www.dyndns.com is just an example used here, you may sign up for DDNS service from other portal. Access the ADSL Gateway's web-based setup page. For instructions, click here. 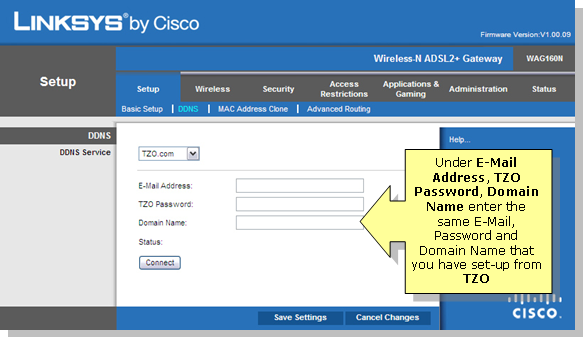 When the ADSL Gateway's web-based setup page appears, click DDNS. Look for DDNS Service and select the DDNS provider you have. NOTE: Before you can use this feature, you need to sign up for DDNS service at one of two DDNS service providers, DynDNS, or TZO. In this article, we are using DynDNS as an example.